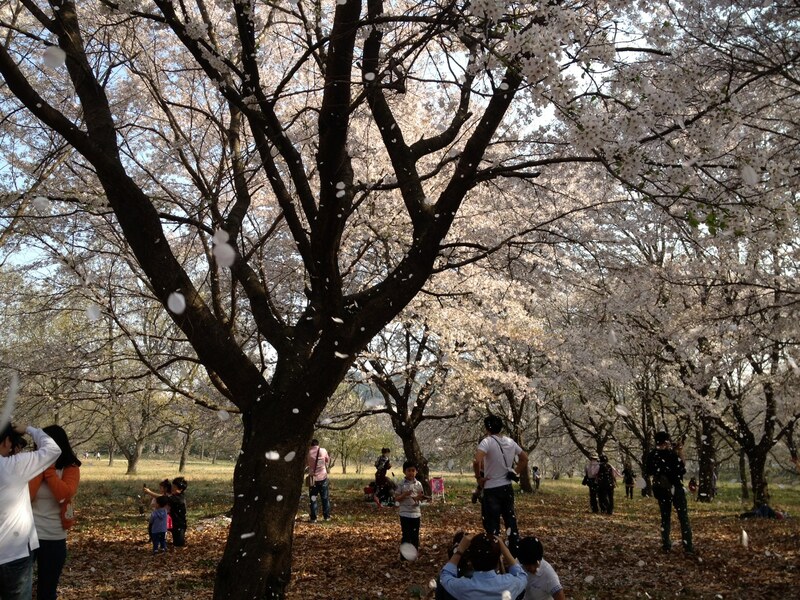 Today, Dave and I went to Gyeongju to see the cherry blossoms. I have been wanting to see Gyeongju for a long time and today I finally did. It was definitely worth it! The highlight of the day was sitting in this area that was shaded by cherry blossom trees. When the wind blew, the blossoms fell to the ground. It looked like it was snowing. It was gorgeous!